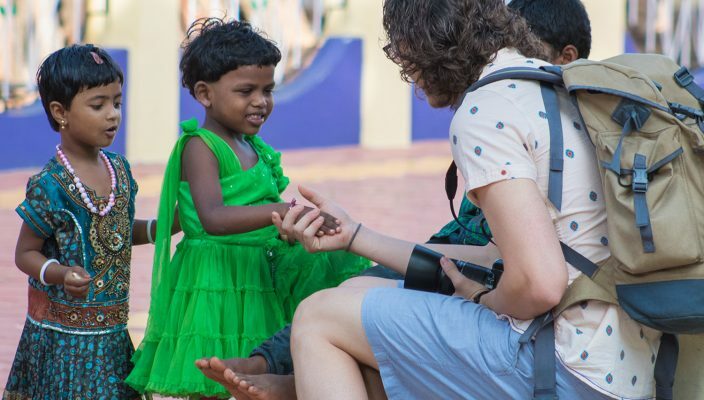 While most kids were spending their summer soaking up the sun and recovering from a year of schoolwork, a group of students from Gannon University volunteered their time in India as part of an Alternative Break Service Trip (ABST). Students and faculty departed from Erie on June 2 for the 10-day service trip. The group performed most of its service in the state of Tamil Nadu and had the opportunity to visit some of its major cities, including Chennai, Madurai and Nagercoil. Jennie Vaughn, Ph.D., an assistant professor in the English department, served as one of the trip’s faculty advisers. She said that the main goal of the ABST was to strengthen the relationship with the Sisters of the Sacred Heart of Jesus, as it was only the second time a group of students from Gannon have visited India, where the congregation is located. The Sisters of the Sacred Heart of Jesus congregation devotes many of its resources to housing and schooling poor and abandoned children. According to their website, they currently care for about 2,500 children at orphanages across India. Vaughn said that because there was not a typical service “project” they needed to complete like building and painting a house, there was discussion that it felt like there was something missing from their efforts. But she said that she and Ashley Lawson, the assistant director of the Gannon Honors Program who co-advised the trip with Vaughn, were able to help the students see that often the best service students can give does not meet a material need. “We gave service of our time, attention and love to them, and it didn’t feel like hard work.”Morgan Grzegorzewski, a senior physician assistant major, has participated in ABSTs since her freshman year and began working as a student leader during her sophomore year. Along with Charles Oberle, a senior mechanical engineering major, she helped co-lead the ABST to India. Gzegorzewski said that in preparation for the trip, the group bought chalk, kites, bubbles and other children’s toys to bring with them. Students played games with the children that used the names of months or colors so that they could practice learning them. 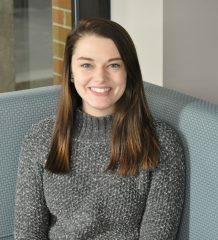 Caitlin Ebert, also a senior physician assistant major, was encouraged by a friend to take part in the ABST, although she wasn’t entirely confident in herself at first. “I am a firm believer that we should almost always do the things that scare us the most because that’s how we grow,” Ebert said. “India was the one place on the list I was the most hesitant to visit, so I took the opportunity and signed up. Ebert said that the ABST was even more eye-opening than she had anticipated. “Everyone has a story if you care to listen, and the people I met in India had plenty to share,” Ebert said. “The children told stories of the hope they had for their parents to return, the nursing students told me of their dreams to find success in a country where their chances of finding a job were slim and the Sisters spoke about nothing but the passion they have for those they give so selflessly to. 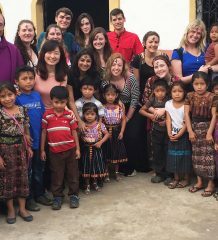 Gannon will be making its third visit to India in June, and applications are due Oct. 1. 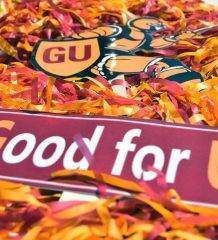 For more information, contact Vaughn at vaughn007@gannon.edu.